The excitement of an opera premiere electrified the San Francisco Opera House, August 18, as the Merola Grand Finale was moments away. 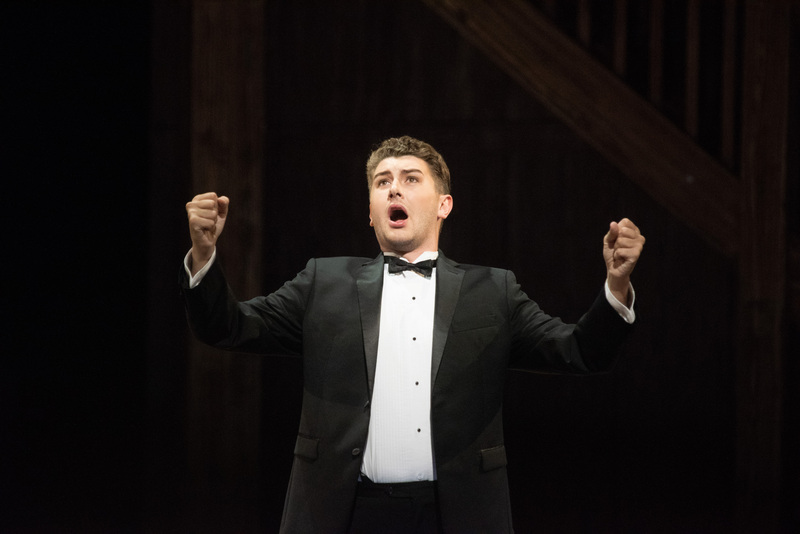 Merola is the training program for accomplished, adult artists already on their way to grand careers. They audition for a place in this program which will launch them into the best houses around the world. 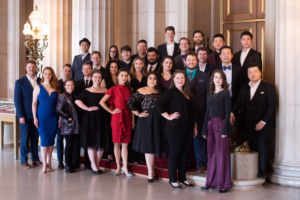 Previous stellar graduates of the Merola program include Brian Asawa, Joyce DiDonato, Thomas Hampson, Patricia Racette, Ruth Ann Swenson, Patrick Summers (conductor), Rolando Villazon, Deborah Voight, Dolora Zajick. And that is a partial list. 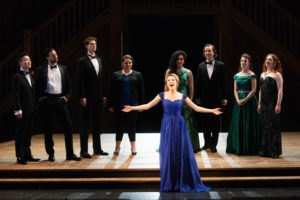 Opera aficionados attend the Grand Finale knowing they are hearing the international stars of the day after the show. 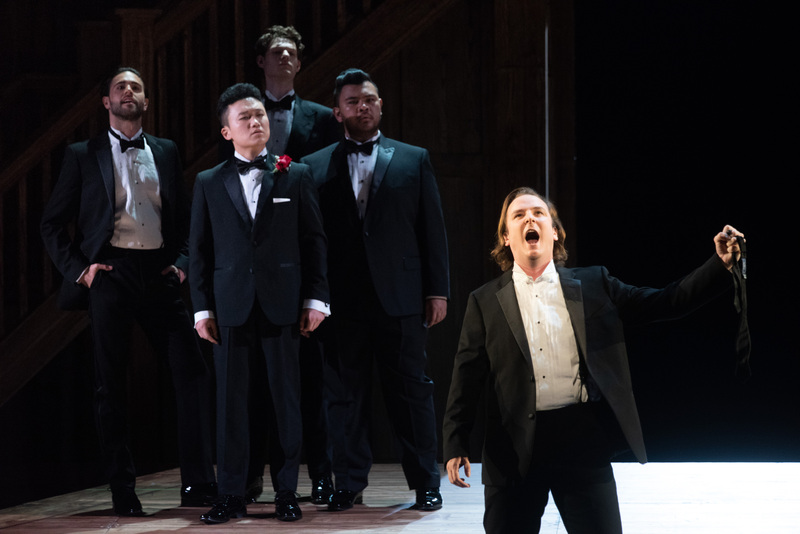 The singers were accompanied by the full San Francisco Opera Orchestra, conducted by Maestro Dean Williamson with stage direction by Merola Apprentice stage director, Marcus Shields. The Grand Finale is not the performance of a full opera. 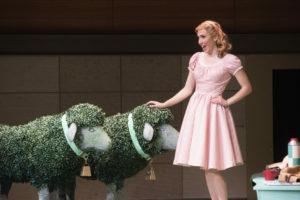 Instead it offers arias, duets, and other groupings selected from many great operas. It is what Dorismae Hacker Friedman calls “the good parts” version of opera. Each presentation was very fine in its own way: dramatic, tragic, funny, delightful. There were operas by Puccini, Verdi, Mascagni, Smetana, Donizetti, Bernstein, Mozart. Familiar and beloved music and some which would be new discoveries. 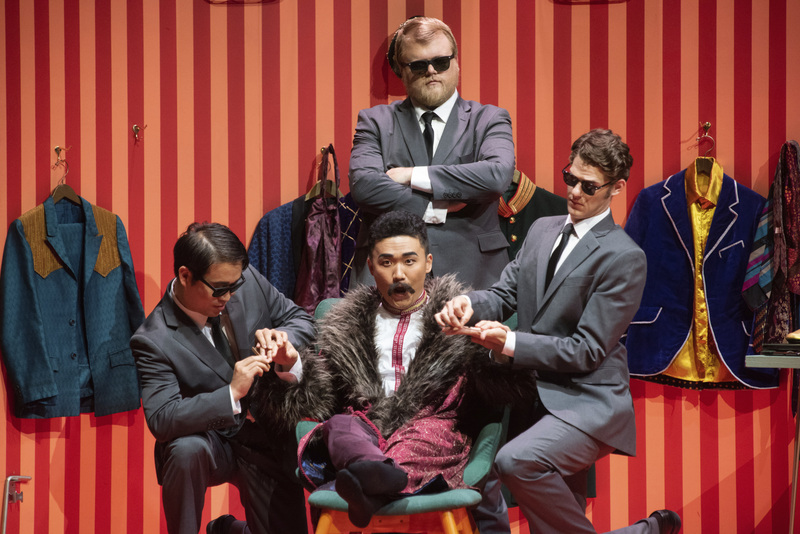 A favorite of this listener was perhaps the oldest piece on the program:; Monteverdi’s Il ritorno d’Ulisse, beautifully and powerfully sung by Xiaomeng Zhang as Ulisse. 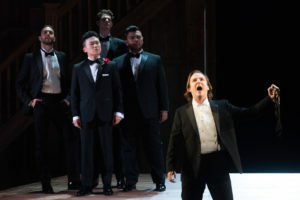 The Merola program is named in honor of Gaetano Merola, the founder and first director of the San Francisco Opera, 1923. The “Merolini” receive full sponsorship in San Francisco and aide in travel to audition elsewhere. Maestro Merola would be so proud. This year’s class of 29 included artists from Canada, China, South Korea, Ukraine as well as from all around the US. In addition to singers, the program can include apprentice coaches, stage directors, conductors, designers. It is impossible to select the “best” or “favorite” arias or performances. There were too many wonderful moments. 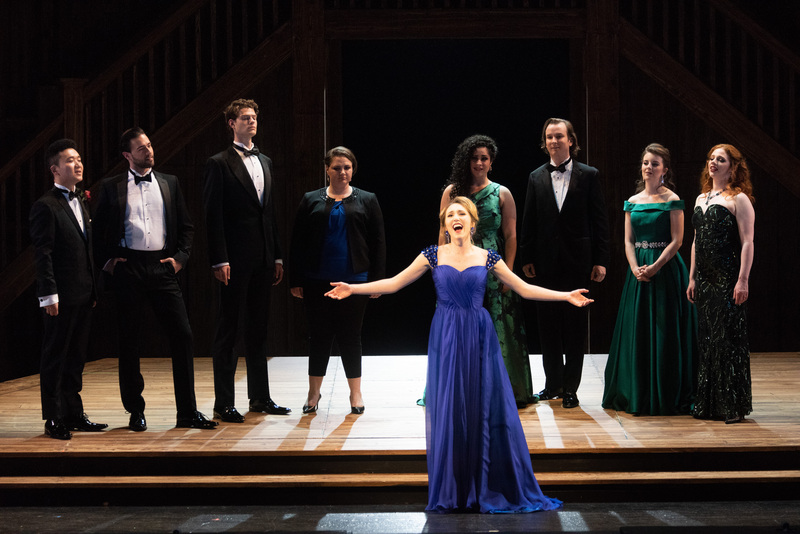 Especially memorable were Cheyanne Coss and Jacob Scharfman as Norina and Malatesta in “E il dottor non si vede…Pronta io son” from Don Pasquale, by Donizetti; Andrew Moore and Patricia Westley as Papageno and Papgena in “Papagena! Papagena… Pa-pa-pa” from Die Zauberflote, by Mozart. 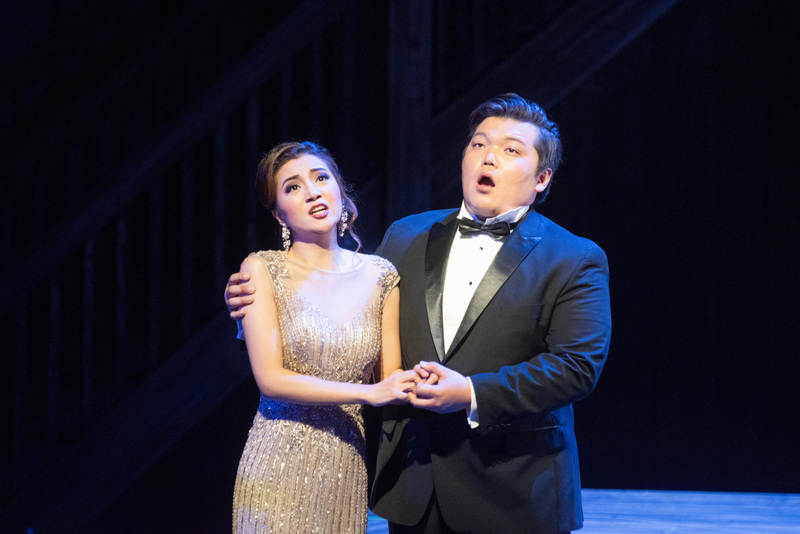 Oh, and Kendra Berentsen as Thais singing “Ah, se suis seule…Dis-moi que je suis belle; and Marlen Nahhas as Elisabetta and Chistopher Colmenero as Don Carlo singing “Io vengo a domandar grazia” from Don Carlo by Verdi. It was a program of richness as well as variety. I notice that this list includes fewer items from the first than from the second half of the program. This reflects only on the brain being so loaded with great song. This entry was posted in Hedgehog Highlights and tagged Andrew Moore, Brain Michael Moore, Cheyanne Coss, Christopher Colmenero, Dean Williamson, jacob Scharfman, Jaeman Yoon, Kendra Berentsen, Marcus Shields, Marlen Nahhas, Meigui Zhang, Merola Grand Finale, Merola Opera, Merolini, Patricia Westley, San Francisco Opera Orchestra, Xiaomeng Zhang on August 21, 2018 by Leslie.